Having to prick finger several times a day to check glucose level is one of the painful experiences diabetics have to endure every day. The advent of wearable technology is inspiring medtech firms to develop various Continuous Glucose Monitoring (CGM) systems. FDA recently approved the first automated insulin system for Type 1 diabetics. 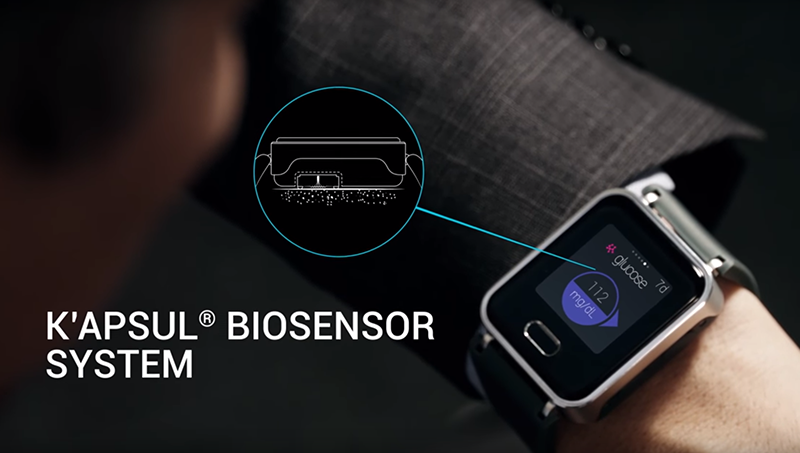 Now, French biomedical company PKvitality has come up with a different solution; they’ve invented a CGM smartwatch. Dubbed K’Watch Glucose, the new smartwatch features the company’s patented SkinTaste technology that samples glucose from the skin. Next, the measuring is done by the biosensor called K’apsul. The biosensor has to be replaced every so often, and so will have to be purchased regularly as a consumable. 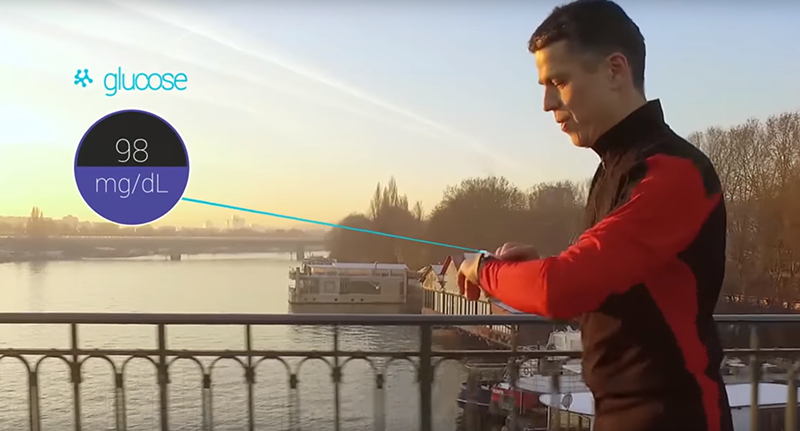 PKVitality claims its newest smartwatch is very accurate at +/- 8%. This is how it works: Tiny 0.5mm-long SkinTaste microneedles puncture the surface of the skin and probe interstitial fluid – the pasty clear substance that surrounds tissue cells, which absorbs chemicals like glucose directly from the blood. Once the probes penetrate the topmost epidermal layer, small pumps extract the fluid for analysis. The K’Track Glucose isn’t maintenance-free, though. It uses K’apsules – removable capsule that last a maximum of 30 days. The price of K’Track Glucose starts at $150, and each replacement K’apsul costs $100. However, when you compare it to conventional CGMs, which represent an initial investment of anywhere between $1,000 and $,1400, as well as $500 a year in maintenance costs, it’s almost a no-brainer, reports Digital Trends. PKVitality still needs to get the clearance from health regulators before it can put it in the hands of consumers. “We have listened to thousands of feedbacks received from patients and managed to rework K’Watch to create the ultimate friendly CGM. We are currently in a pre-clinical testing phase with very promising invivo results, and committed to dramatically improve quality of life of Type 1 and Type 2 diabetes patients,” said Luc Pierart, CEO of PKvitality.